Wisdom of Life. : Are we spoiling our children??? When I left school to seek for employment, the only way to move around was by buses. After working for a few months, I bought an old second hand motorbike with money I saved. It took me two years before I could buy and replaced the bike to another second hand car. It was a Ford Anglia and I'm sure not many youngsters would have heard of this model. Right? That car was my pride because I used my own money to buy. Today is a different story. The minute a child has finished his or her education, they expect the fathers to fund and purchase a car for them before they could even secure a job. Mind you! A car and not a bike. Preferable a brand new one. An old car is considered as unfashionable and nothing to show to their friends. Would you agree? Sometime by not assisting, you are helping the other person. Or sometime by assisting, you are not actually helping. How lah? I truly agree with your quote for the day. Youngsters nowadays are a lucky bunch to have all the up-to-date gadgets and convenience. At one point, I thought I should give my kids gifts that I longed for when I was a child but did not get to own it. 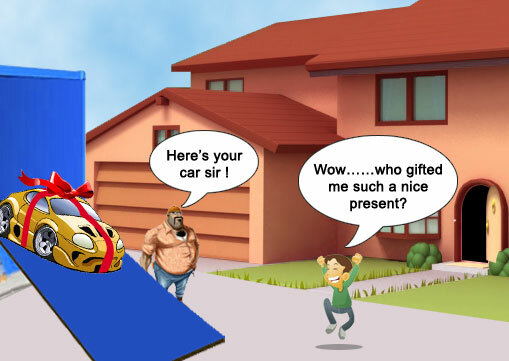 However, after some thoughts, I believe that whatever gifts my kids want, they should earn it themselves by behaving themselves and show it to me the reasons to own the gift. Have a nice day, Robert. U are considered still a young father and husband to me. BUT! You have a very matured and understanding mind. Congratulation! !